Directors Louise Osmond and Jerry Rothwell open their British television documentary Deep Water with a twee quote about "the delicate mechanism of the mind" that implies a lot of high-flown pop-psychology pontificating to come. But it never arrives. Instead, after that initial off-putting moment, they dive into a fascinating story of madness that's tragic enough to justify the melodramatic tone. In 1968, Britain's Sunday Times launched a competition for the first non-stop, solo boat circumnavigation of the world; the sailor who made the loop first would win a trophy, while the fastest sailor would win £5,000, in those days a significant fortune. It was a grueling proposition, involving nine solid months alone at sea, but nine competitors took up the challenge. Only one completed the journey. Osmond and Rothwell take some time to focus on French entrant Bernard Moitessier; interviews with his wife, excerpts from his poetic logbook, and his home-movie diary of the journey offer some lovely perspective on the trip's rigors and rewards. But the main focus is on Donald Crowhurst, a "weekend yachtsman" who tried to save his flagging business in maritime navigation aids by finding a sponsor and attempting the journey. Dogged by constant setbacks, including experimental equipment he couldn't complete in time or that just didn't work, he started last, on the final allowable departure date, and in a desperate, dangerous rush. His own logs, audio recordings, and film diary suggest a man able to smile for his hometown cameras, but secretly harboring deep fears about the whole attempt. But having promised his investor a good showing, he stood to ruin himself, his wife, and his four small children if he dropped out. Osmond and Rothwell make a few missteps, mostly by glossing over key details, like the fate of the first men to leave the race (both aborted because of equipment failures, but the film's dramatic yet vague narration makes it sound like they died horribly at sea) and of Crowhurst's boat, which is presented but never explained. Still, their story is riveting, and their storytelling is an impeccable blend of invaluable archival footage and new material. 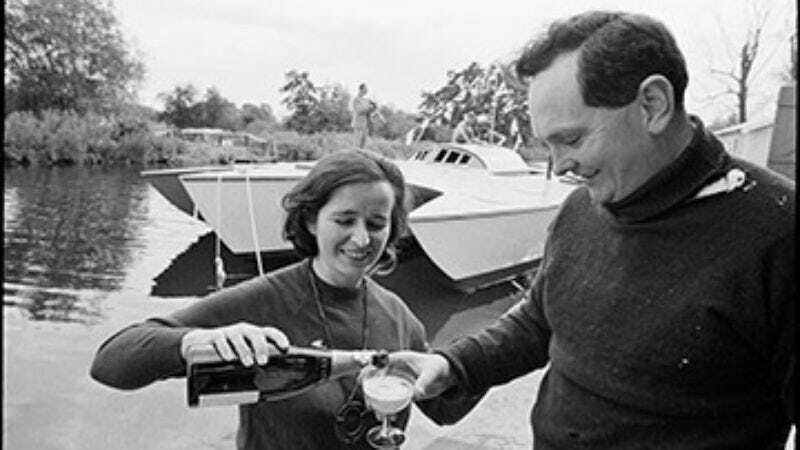 In particular, the present-day conversations with Crowhurst's wife, intercut with her 1968-69 media interviews, are a heartbreaking study in youthful naïveté and mature hindsight. And the directors deliberately pay out the story of Crowhurst's increasingly startling decisions and deteriorating behavior in ways that make the tension unbearable. Even for those who know how the story ends, Deep Water is a compelling, well-researched, beautifully assembled document. For those who haven't, it's a startling look into a corner of history, and into one man's deeply troubled mind.